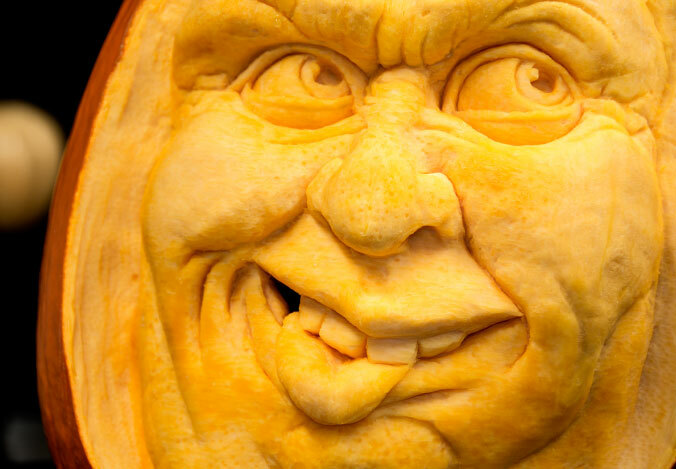 We’ve been waiting a long time for pumpkin carving season to get going again. Now that it’s October and Halloween is only a few short weeks away, it’s finally here! One of the designers on our team, Jon Thomson, has been illustrating and sculpting for years (check out his site to see some of his projects). 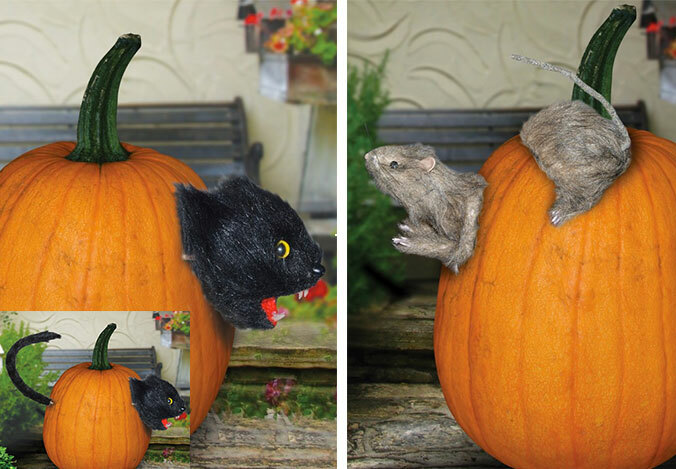 It’s never too early to start a Halloween pumpkin carving tradition with your family. 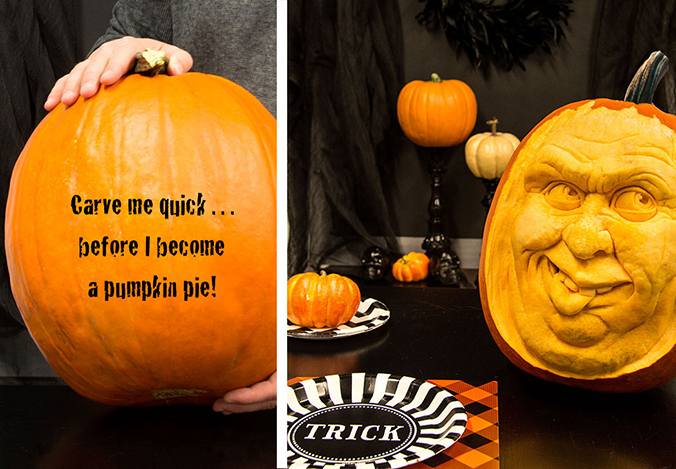 Creating the creepiest pumpkin possible is one of the highlights of Halloween! To help, we offer pumpkin carving starter kits and tools that are perfect for kids to use. This two-piece pumpkin carving set is great for smaller children: it contains a safe-to-use 10-inch scoop for removing the pumpkin innards (which is, by the way, the most fun part by far) and a bulky toothed carving knife for mom and dad to help out. The ultimate pumpkin carving kit is a little more advanced, and includes multiple blades for different levels of detail as well as a scraper. 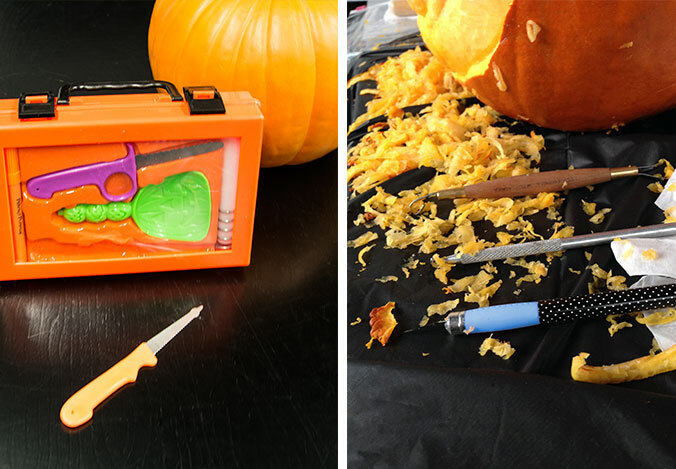 The best and biggest kit of all, though, is the pumpkin tool box (pictured above). 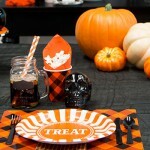 There’s 14 awesome pieces you can use to turn your jack-o-lantern into something special, from blades and stencils to a special etching tool and even a candle holder. 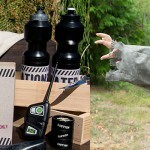 The tools are perfect for small and big hands alike, and are designed for a grip that won’t slip, even after you’ve been covered in pumpkin guts. Another way to make pumpkin carving and Halloween decorating more fun for kids is to use Halloween helpers like these pumpkin push-ins. Decorate a pumpkin in seconds with reusable props! Also available in rat. Loop tools typically used for working with clay also work wonders on pumpkins. A large one can be used to easily remove the pumpkin’s skin. Dental tools and X-Acto knives are great for carving details into small nooks and crannies. 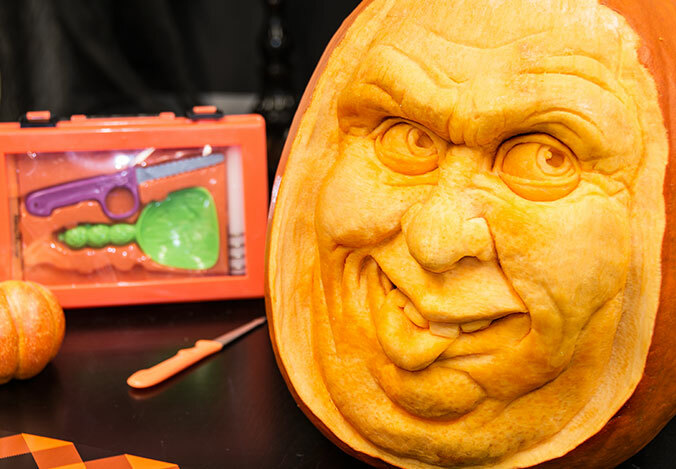 Creating as much depth as you can with your cuts will make for the most dynamic pumpkin possible – Jon even cut all the way through at the corners of the mouth on his. To remove tool marks and imperfections, lightly scrub your carving with the abrasive side of a wet kitchen sponge. 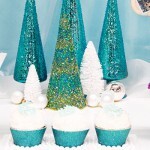 Work on your carving for only a single day, if possible. Otherwise, it will start to dry out and rot. Prevent loss of moisture by storing the pumpkin in a plastic bag. If you’re interested the rest of Jon’s sculpting work, click the box below to browse some of the products he’s helped create for BuyCostumes and BirthdayExpress.com. 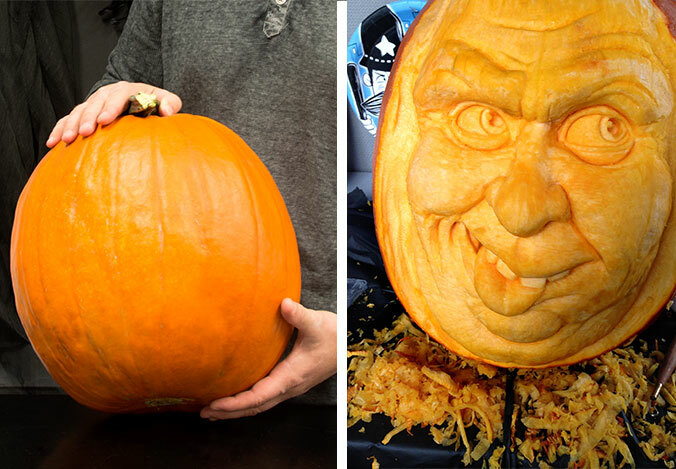 What was the best pumpkin carving you’ve ever seen? 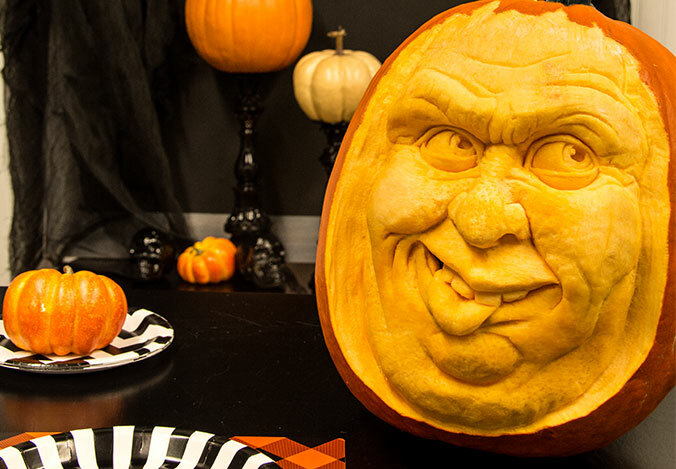 How are you going to carve yours this Halloween? Whatever you decide, we want to know about it! 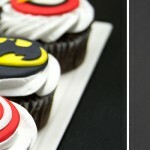 Share your pics with us on Facebook and Twitter @BuyCostumes, or shoot us a quick email. Check out our boards on Pinterest for our complete collection of Halloween costume ideas, party ideas, and decorating ideas, too. 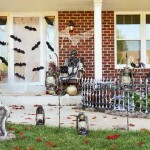 Shop Halloween decorations on BuyCostumes.com. 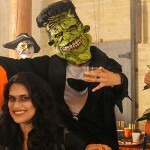 Shop Halloween costumes on BuyCostumes.com.